Eat Right Missouri - Creative Networks Protocol Inc. 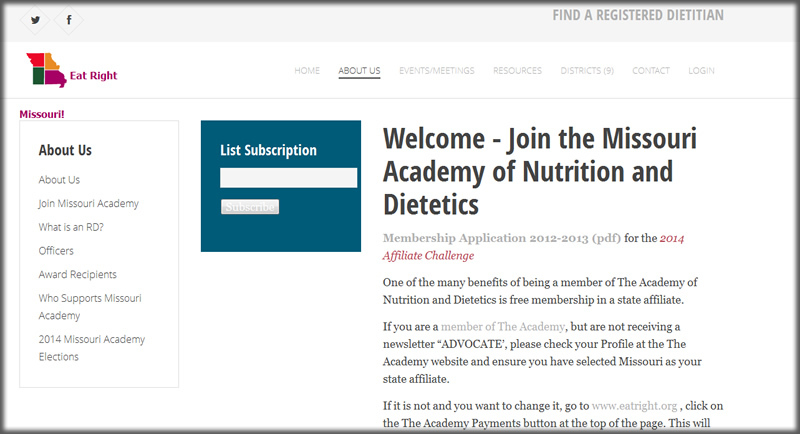 The Missouri Academy of Nutrition and Dietetics is a non-profit organization which contains the largest group of nutrition professionals in the state of Missouri. They aim to make the entire state of Missouri healthier and happier through scientifically backed nutritional resources for registered licensed dietitians and the public at large. 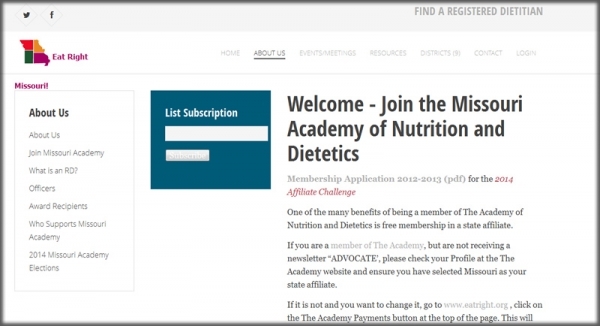 The Missouri Academy of Nutrition and Dietetics is a non-profit organization which contains the largest groups nutrition professionals in the state of Missouri. They aim to make the entire state of Missouri healthier and happier through scientifically backed nutritional resources for registered licensed dietitians and the public at large. Eat Right Missouri has been struggling with having to call in assistance to help with any edits on their website, and we’re looking for a platform that could automate internal processes that took up a lot of their time. They were also hoping to add more value to the site in an effort to help increase their membership base and provide better resources for their audience. 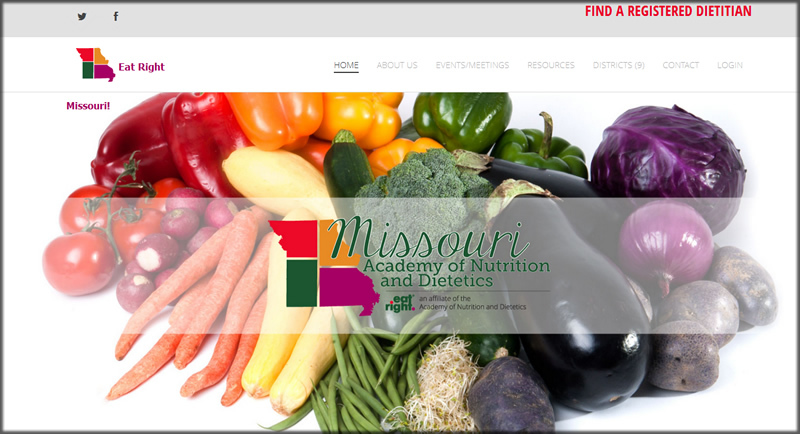 CNP rebuilt the website from scratch in Joomla 3.x, migrated all current content, and refined their brand and visual identity to create an all new eatrightmissouri.org. Once completed, the site will have a complex membership system, integrated with their national database, including special “micro-sites” memberships for their districts. 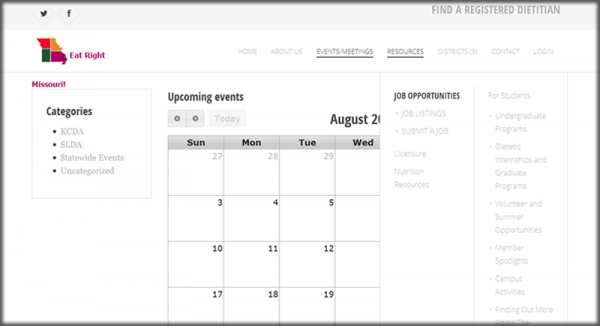 Joomla provides a very elegant WYSIWYG editor, and now the whole Eat Right team is able to edit and access the information relevant to their district.